The next recommendation from the Great Movies – 100 Years of Film book following Snow White is quite possibly my second favorite classic Disney cartoon (the first is Robin Hood), bearing only a passing resemblance (and that’s only if you squint) to its source material by Rudyard Kipling, Disney’s The Jungle Book is filled with tons of songs, and a swinging soundtrack. When Bagheera (Sebastian Cabot), the panther, discovers a man-cub in the jungle, he turns it over to the local wolf pack to be raised as one of their own. As Mowgli (Bruce Reitherman) begins to grow, Bagheera and the wolves expect there may be trouble, as it seems the dangerous tiger, Shere Khan (George Sanders) has returned to the jungle and will no doubt hunt the boy down. Bagheera is tasked with returning the boy to the man-village, but young Mowgli would rather stay in the jungle, despite the dangers it may present, including the devious, and hypnotizing snake, Kaa (Sterling Holloway), or getting trampled by the pachyderm dawn patrol. 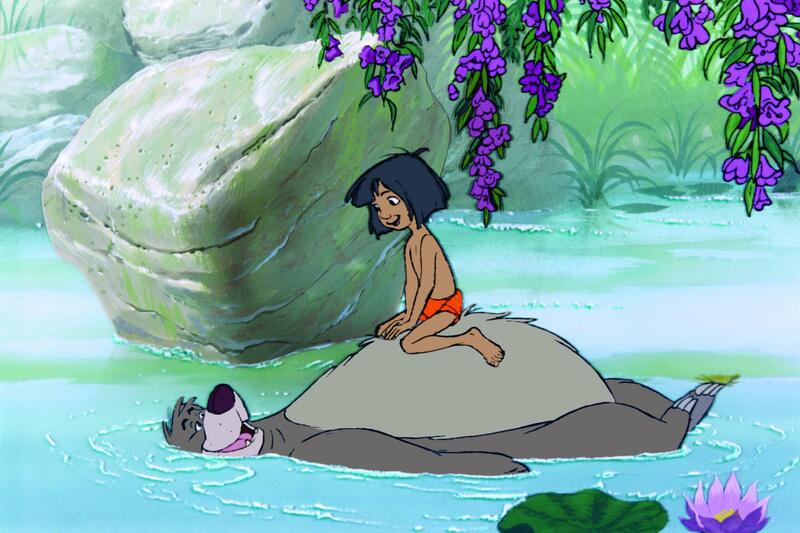 Eluding Bagheera, Mowgli comes across lovable jungle bum, Baloo (Phil Harris) the bear. Showing Mowgli the Bare Neccessities, the two pal around the jungle happy and content, until Mowgli is spirited away by a monkeys! He’s promptly dropped in front of King Louie (Louis Prima), who wants the secret of fire, and belts out that he Wanna Be Like You, in a great sequence that sees Baloo in drag. There are lots of laughs and moments filling the film, but as Mowgli wanders away from his protectors, he runs into a quartet of Beatles-esque vultures, and a confrontation with Shere Khan! Happily, he may not have to face the tiger alone after all. 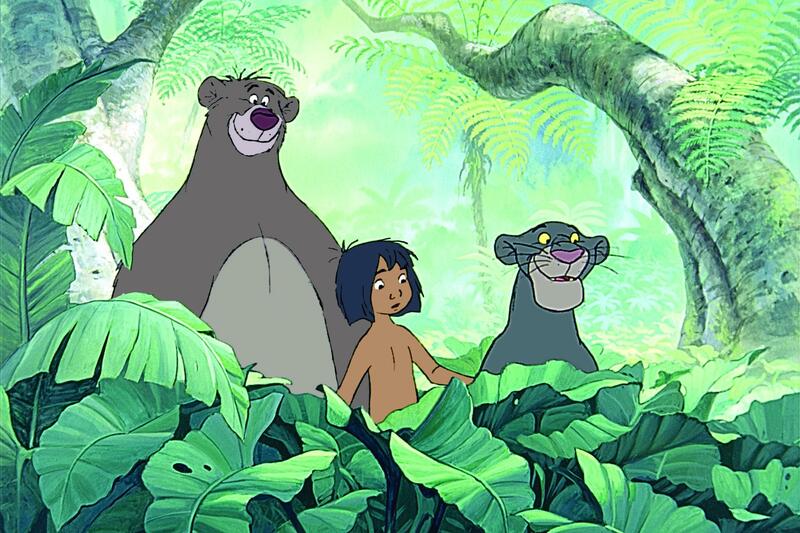 As the reunited trio, Bagheera, Baloo and Mowgli wander the river’s shore, they all realize that there are inescapable moments of friendship, growing up, and finding that place where you belong. And this film conveys all of those things wonderfully. Despite the fact that I had not seen this one in a decade or two, it was amazing how much of it came back to me as I was watching and singing along. I love the so much about this film, the character design, the incredible voices, the look of the film, and of course, who can forget the songs, even the ones you don’t think you’ll remember come roaring back. This is Disney at they top of its game in the late 60s, turning on solid family fare that was bound to entertain every member of the family, and even today, I would wager they would do the same. And with a song-packed soundtrack like this one, who would want to resist it? Which early Disney animated film is your favorite?